How to prove transitivity in Fitch. Is it Ok? I was not able to get the proof as you presented it to work in the fitch-style proof checker I am using. However, the following did work using equality elimination (=E). The proof checker you are using may be different and the result could require other steps. 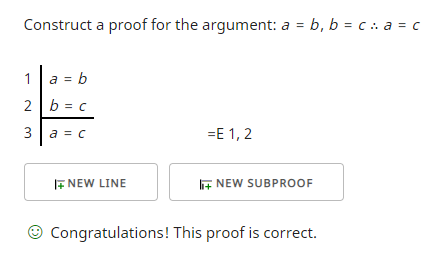 I am stuck on how to prove the contradiction of R(b,a) can anybody help me? If it is not all wrong, then I have a problem in line 25. Can anybody help, please?